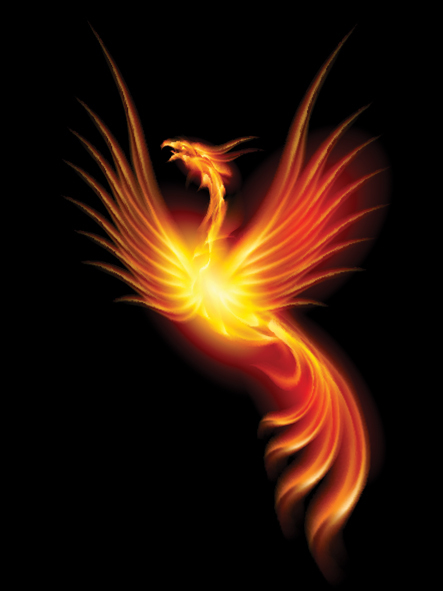 Even when I was young enough to think of everyone over thirty as a kind of antediluvian dinosaur, I always enjoyed hearing stories of the past from my elderly relatives and their friends. It seemed like opening a window on another world. 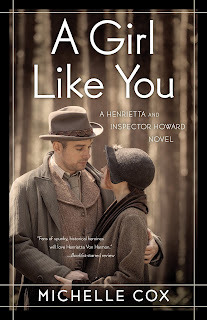 So I was especially struck when I interviewed Michelle Cox—the author of A Girl Like You and A Ring of Truth, both romantic detective stories set in 1930s Chicago, with a third already on the way—to hear that many of the events that her heroine experiences come from stories told to her by a patient at the nursing home where Cox worked for a while. All the no-longer-recognizable jobs—26 girl, taxi dancer, curler girl, usherette at a burlesque theater—as well as the all-too-familiar ones like floor scrubbing were held by this one patient, who, to paraphrase her words to Cox, also had “a man-catching body and a personality to match.” Given that the patient was in her eighties when she shared her story, we can only imagine what she was like in her teens, as Henrietta von Harmon, the heroine of this series, is when we meet her. Indeed, I’m a little jealous. 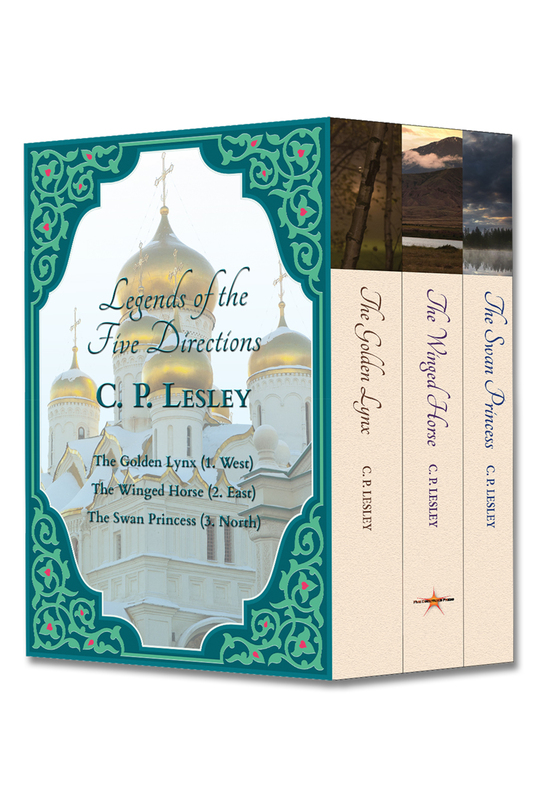 If only I could interview a real sixteenth-century Russian or Tatar.... Wouldn’t that be fun? It’s January 1935. Prohibition has just ended, but the Great Depression has not, and much of Chicago remains under the grip of the crime lords who profited from the trade in illegal liquor. 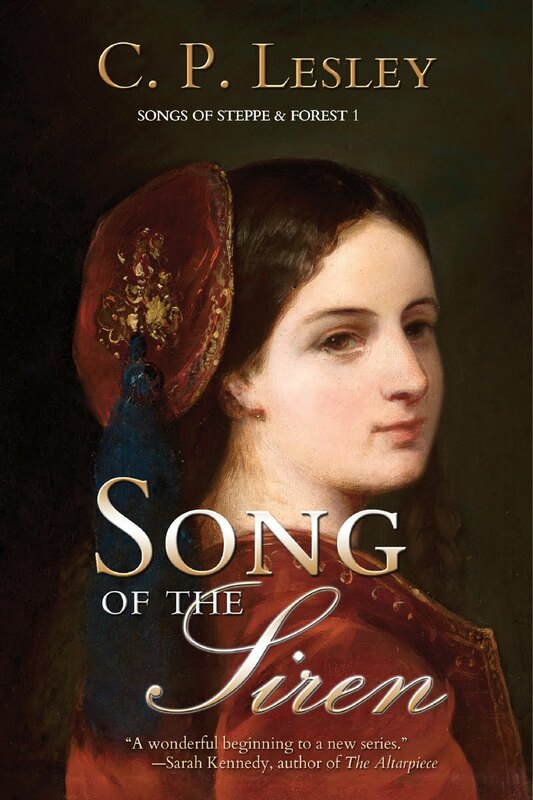 Eighteen-year-old Henrietta von Harmon, despite her aristocratic name, struggles to keep food on the table for her overwhelmed mother and seven younger siblings. After too many evenings spent cleaning, peddling drinks, and keeping score for dicers at a local bar, Henrietta jumps at the chance to double her income by taking a new job at a nightclub, where she dances with customers late into the evening. Too bad she cannot share the story with her family, who would be scandalized at the potential damage to her reputation if they knew. Then her boss turns up dead, and the customer to whom she is most attracted reveals that he works as a detective for the Chicago Police. 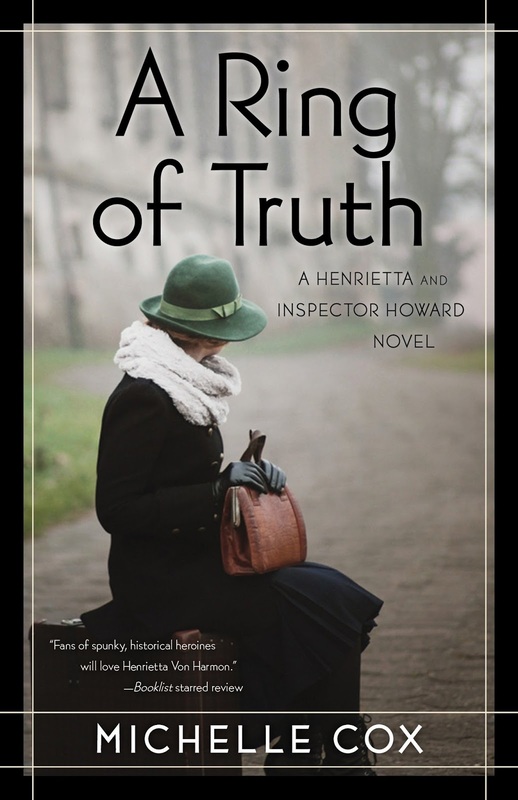 The search for the murderer leads Henrietta into even more unsavory circumstances, and soon she’s wondering whether even the police can keep her safe. 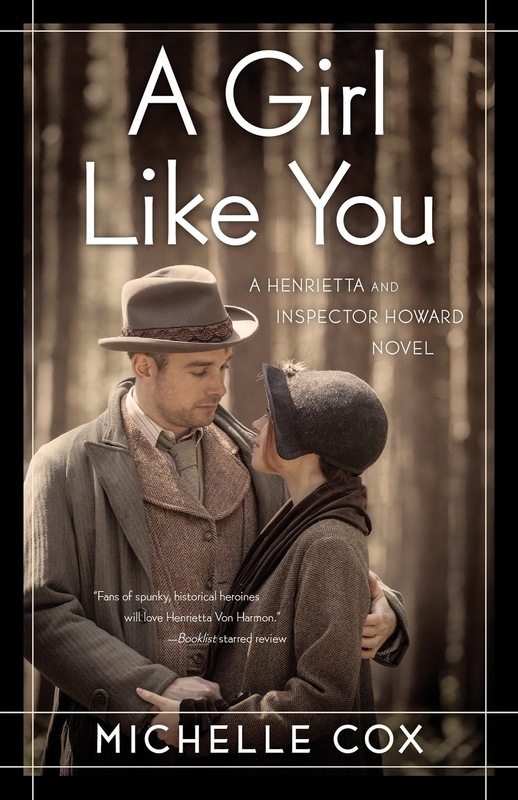 In A Girl Like You and its sequel, A Ring of Truth, Michelle Cox introduces a rich cast of characters and a lovable heroine just trying to make her way in a cold and unforgiving world. 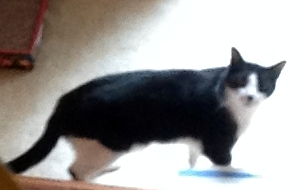 And for those of you who follow the interview participation of my cat, yes, he was there. He just decided to devote himself to purring that day instead of the usual piercing meows. Guess he liked the stories too! Back in February, I wrote a post on how to avoid publishing before a book is ready. Near the end of that post, I recommended, among other things, finding a critique group of fellow writers. But what is a critique group? How is it organized? What does it do? Where would you find one? The answer to most of those questions—excluding the last, in some ways the hardest—is “whatever you like.” So rather than get into all the possible variations, I restrict myself here to a brief overview of my own writing group, soon to celebrate its ninth anniversary. We got started—and here is one answer to the “where?” question—when Ariadne and I independently joined a statewide writers’ organization. I saw that an open-forum writers’ group operated out of the local Borders (remember them? ), but by the time I discovered the group’s existence, it had moved out of easy driving range. Through the statewide organization Ariadne, Courtney, and I eventually found one another, together with a fourth member who left after a couple of years, and our writing group was born. We knew from the beginning that because we all wrote novels, we needed to be able to share at least a chapter at a time. So unlike the group that met at Borders, which had lots of people each exchanging five pages per month, we settled on no more than four people and a limit of thirty double-spaced pages, flexibly enforced depending on how many of us chose to share at a given meeting. Otherwise, we had only two basic rules: everyone must be actively writing; and barring an emergency, everyone must attend each session. So what does that mean in day-to-day terms? 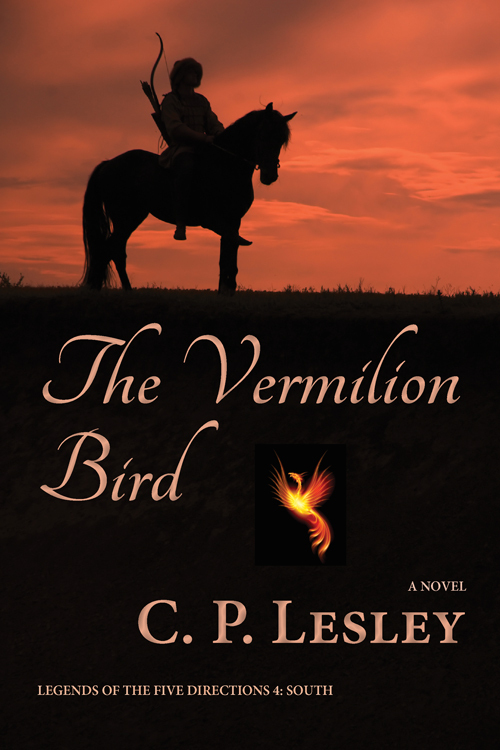 Take Vermilion Bird, which has twenty-six chapters in the rough draft. After several months of not sharing, or sharing only an outline or character sketches or goal, motivation, and conflict charts, I moved into a regular rhythm of two chapters a month (25–35 pages). Up to this point, my critique partners have seen the first sixteen of the twenty-six, in some cases more than once. In particular, the crucial opening chapters took several rounds of suggestions to knock into shape. This month, for example, I sent chapters 15 and 16, in the form of a Word document, to Ariadne and Courtney by e-mail two weeks ago. By the time we meet on Saturday, they will have read the chapters, probably more than once, and I will have read theirs. I expect to see a few comments on things they liked but also flagged passages that confused them, went on too long, verged on information dump, sounded “off” in terms of the dialogue, or—my particular bugbear because I was raised in chilly northern climes—included characters taking things far too calmly or behaving in ways better suited to an English drawing room than the Eurasian steppe. I will take those comments, figure out how to respond without jeopardizing my inner vision of the story, and make changes. Then I will look at the chapters that follow to see how those changes ripple through the rest of the book, and revise those before sending the next two chapters for critique in June. If, as happened with chapter 15, a suggestion leads to a thorough rewrite, I may decide it’s best to share that chapter again. It’s hard enough juggling three different writers’ books over the course of a year or more without looking at a chapter that seems to bear no resemblance to the story one sort of remembers reading last time. At the end of the process, when the other group members have read all the chapters in ones and twos, we dedicate a meeting to one person’s work and read it from beginning to end to pick up continuity errors, repetition, missing setups, inconsistent characterization, and other issues that can slip from view during those thirty-page-at-a-time critiques. What makes it work, more than anything else, is the individuals involved. This is the factor in some ways least susceptible to control but most vital to a group’s success. We were lucky in that we turned out to be compatible, both in what we write and how we offer critique. An approach emphasizing the positive and offering suggestions without judgment or, worse, insult is essential. Grandstanding, posturing, and revenge games will kill a group before the members have a chance to figure out each person’s strengths and therefore which suggestions take priority. A mix of strengths—plot first and character first, for example, or historical and literary—helps each member grow. The group will also function better if the members are at about the same stage of development; people writing their first paragraph can learn from writers with several novels under their belt, but they find it difficult to offer criticism and are easily intimidated, which throws off the balance of the group. A bad group can do more harm than no group, so this element of the decision should take precedence. But assuming you can find the right emotional mix, what are the advantages and disadvantages of critique groups? Why would you want to consider one, and why might you instead prefer to seek out another way to improve your writing? First, the advantages: I learned to write from working with others who were struggling with the same issues I was and who provided specific feedback on my specific story, rather than the generalizations that how-tos on the writing craft necessarily supply. It’s fun to talk to people who understand what you’re doing when you sit in front of the computer for hours on end or know how it feels to wake up in the middle of the night with characters jabbering in your head. And in those crucial early years, especially, writing is a lonely exercise with few rewards and fewer ways to separate the bad from the good in one’s own work. A writers’ group that fits your style offers a great way to test things out and learn, however slowly, what works and what doesn’t. The disadvantages are not many, but they do exist. Even with our thirty-page limit, getting through an entire novel of three to four hundred pages takes a year or more, plus the final read-through and revisions. The input from the group—even a compatible group—can move a writer in a direction that may not fit an as yet hazy vision, requiring eventual push-back. On occasion, we get over-involved in one another’s work and have to disconnect, allowing the person writing the story to have the final word on its form and its content. None of these issues is fatal, but they do need management. For me, the end result of a better book and the pleasure of working with fellow writers who really know me, my strengths and weaknesses, and how I approach a project is worth the emotional investment of learning how to take (and give!) comments, but your calculation may not be the same. There’s much more I could say, but this is a blog post, not a novel. What has your experience been? 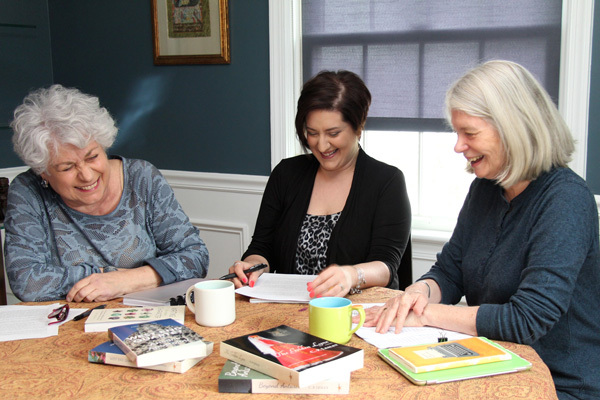 Have you ever joined a writers’ group? Did it work for you? Leave a comment below. 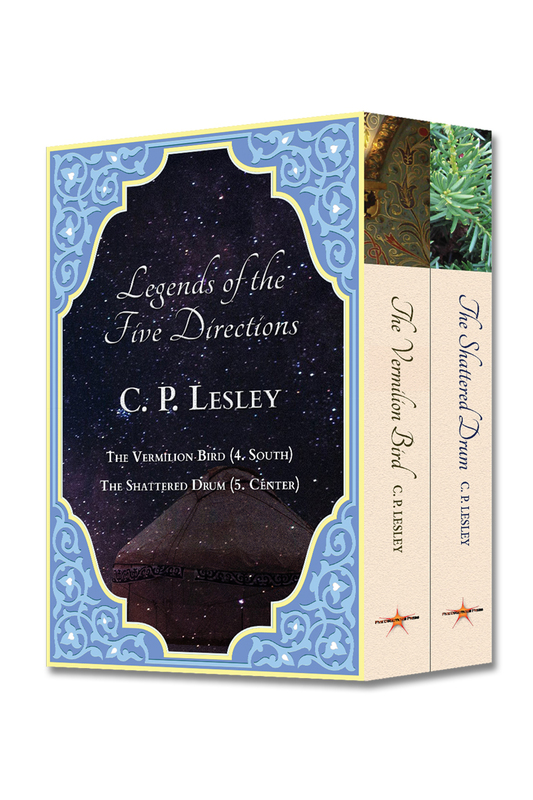 A couple of weeks ago, I announced on Facebook that I had finished the rough draft of Legends of the Five Directions 4: The Vermilion Bird. Social media being what they are, I’m assuming most readers of this blog didn’t see that post, which probably disappeared among the many other updates of their friends. But for me it marked the transition from the process of discovering whether I have a story to my favorite part of writing: the first revision stage. This may seem like an odd preference. Isn’t the first draft more fun? Well, in some ways, yes. If I could outline worth a darn and stick to the plan, no doubt I would like that first run-through best. In the first draft the story is brand-new and shiny, and I follow the characters almost in awe as they come to life on the page. But as I’ve confessed before, my outlines are sketchy at best. I try to have a plan for where I’m going, although I don’t always get there (Vermilion Bird is a perfect example: I had a reasonable sense of where my main couple would end up, but several other characters kept me in suspense almost until the last chapter). Sometimes I also draw up a list of midpoints to keep the book focused, but usually that’s a waste of time, since by the time I hit page ten, someone has done something unexpected and there I am, back in the woods. And while the exploration is a blast, and I learn what’s going to happen as I go along, the nagging sense that I may never reach the end or even have a story, in the sense of a well-connected tale that starts off one place and ends up farther along the same path, gives the whole process a somewhat frantic air. As a result, I like the second draft best. By then, the general arc of the book is in place. I understand who the characters are, what pleases and worries them, what they recognize as troubling and what they have buried so deeply that only the developing story events can bring the truth to light. Of course, there are byways—and even highways—that go nowhere and people who show up in chapter 15 and have to be introduced earlier, details I forgot were already covered and others that somehow slipped through the cracks. But the trunk of the book exists, and the rest is a matter of pruning and grafting, planting and uprooting. At this point I go through the novel several times as quickly as I can, adding and subtracting until I have a more or less clean line from beginning to end. That is not the end of the revisions, by any means. I do individual runs for style, to remove clichés, to check for (historical, psychological, typographical) errors, to adjust for readers’ comments, to monitor that the dialogue sounds like something real people would say and excludes modern slang or post-medieval concepts of the universe. Only when I can’t think of anything else to fix does the book move toward publication. By then, I’m usually so sick of it that I can’t look at it anymore, at least for a while. But that second round is special. The story is present but still new and exciting, rich with hidden depths and twists to uncover. It catches me up, to the point where I forgot to write this post yesterday. And now I have to get back to work. See you next week! 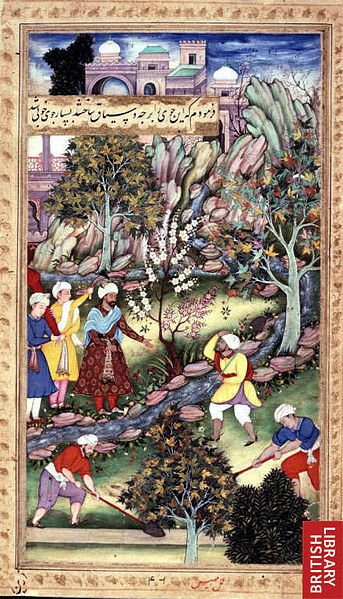 Images: Phoenix purchased from Shutterstock.com; Emperor Babur of India supervising work on his garden courtesy of the British Library. As readers of this blog have probably figured out by now, I read a lot of books—and always have. Books are the focus of my work and fiction my chosen form of relaxation. I used to haunt bookstores the way “normal” people hang out in shopping malls, but these days many of my books come from Amazon.com, in print or e-versions. Every single time I purchase or, especially, download a book, Amazon wants to know what I think of it. It even asks me to review my own books—which I don’t do. 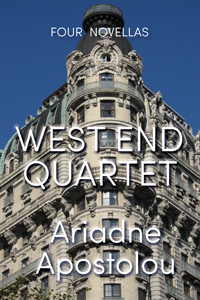 Sometimes I give in to the pleas, more often I don’t, but I’ve never had any trouble with getting Amazon to accept my feedback until this week, when I submitted a review of the latest Five Directions Press title, West End Quartet. More specifically, Amazon thanked me for the review but never posted it. Clicking on the link gets me a cute dog photo and a “sorry, page not found” message. Clicking on the book link shows one review, not mine. What happened? One explanation is a simple glitch. Sometimes a cigar is just a cigar, as the cliché has it. But it’s well known that Amazon can be suspicious about reviews that are perceived as coming from friends or family or fellow authors. So on the off chance that the review was in fact deleted due to some misunderstanding, let me take this opportunity to point out why I went out of my way to recommend West End Quartet to fellow readers at Amazon. It was not because the author and I share a publisher or even belong to the same writers’ group, although we do. It was because the book is genuinely a wonderful read: rich in complex characters, evocative of a particular time and place, filled with brilliant settings and emotional experiences. I have watched it grow through many iterations, and I can attest that it has improved dramatically during that process. The author put a ton of work into crafting it, and those efforts have borne fruit. If you like foreign travel and reading about relationships among women, books about parenting, self-development, and the many different paths that people can take when they start in one place, then proceed in their own individual ways at their own pace toward maturity—this writer is for you. Each of the first three novellas follows the divergent path of one member of the urban commune dubbed Group, formed in Manhattan in the late 1970s to promote feminist causes and fight nuclear power. Mallory joins the Sandinistas in Nicaragua, more out of love than conviction, and discovers that revolutions don’t roll along as smoothly as she expected; Mina abandons her Indian ashram for immigration law and a family, only to realize that a path to happiness can take very strange forms; Gwen, an academic star at the height of her career, revisits her own past and rediscovers the self she always wanted to be. In “Reunions,” the three women reconnect with Kleio Platon—the protagonist of the author’s first novel, Seeking Sophia, and the fourth member of Group—but the narrator for the novella is Mina’s daughter, Skye, shipped off to Greece as an au pair for Kleio’s daughter, Sophia, and in major culture shock through much of her story. As one would expect of a character-focused writer, each story has its own tone, its own vocabulary, its unique approach. But the four novellas, like Seeking Sophia before them, are alike in their wonderful prose, like the passage quoted below, in which Skye discovers that things are not always what they seem. Now admit: don’t you want to know more? They meander slowly up the road because it’s 115 degrees, an oven. The air just sits on you, a dead weight. Watch out for killer bees droning around like MiG-25 Interceptors, even if they look half dead from the heat, too. Seeing Skye, the gigundo creature bares its saliva-dripping fangs, stands its ground in the middle of the road, head and tail lowered. Ears flare. A low growl escalates into a warning bark. Drool. “Hey! It’s Mavri! Ella tho, Mavri!” Sophia bends on one knee to its eye level. At the sound of Sophia’s voice, ferocious Mavri morphs into a frisky puppy, lifts her head, yelps and raises her tail in a wild waggle. Her fangs recede into a wide grin. 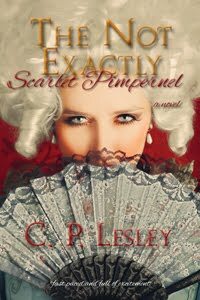 She prances over like she wants to play, bumps her snout into Sophia’s outstretched palm. She presses her flank into Sophia’s side, tail gone completely crazy. Mavri belongs to the widow Kyria Mimika, farther up, Sophia explains. She rubs Mavri under her chin and coos Greek words. The mongrel fawns all over her; her slobbery tongue licks Sophia’s hand, then—plop! Down she goes at Sophia’s feet, a cloud of dust rises up, sprawls out, jaw in the dirt, and sighs. They walk past her, easily. Her round eyes follow them up the road. You can find out more at http://www.fivedirectionspress.com/west-end-quartet.